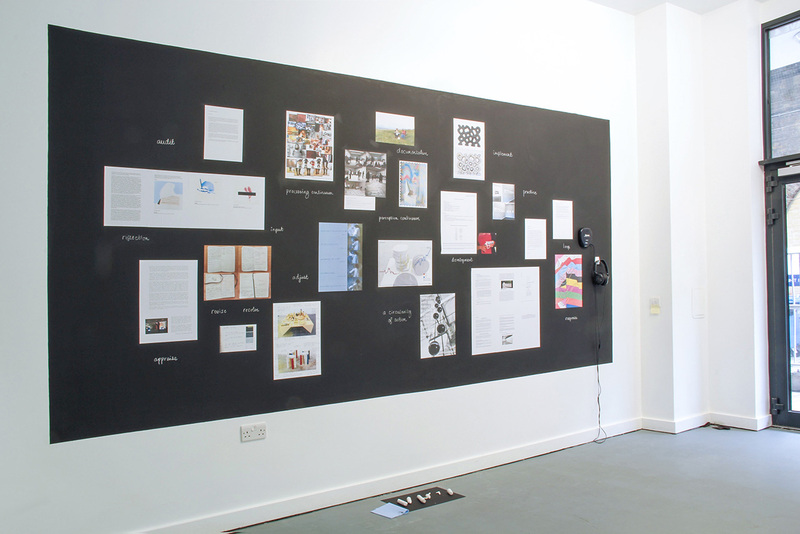 Feedback is a pop-up exhibition, drawing on the experience of feedback and documents from the Peer Sessions Archive, exploring the process by which discursive input can form part of a cyclical system or loop to influence creative decision-making and development. The term feedback implies a chain of events sequentially linked; a circularity of action. Feedback fills the gap between intention and the actual being of reality; a system, circuit, loop or mechanism. In the natural world, balance is maintained by multiple interrelated feedback systems like the species populations which maintain a constant ratio of predator to prey. But feedback systems can disrupt the natural order too; global warming is exacerbated by the ice-albedo feedback loop, whereby melting ice exposes dark ground, absorbing more heat and causing more ice to melt. Human psychology is full of feedback loops which see us consciously and subconsciously regulating and adjusting our behaviour to maximise positive outcomes. The “loop of shame” is a classic example; someone who blushes easily becomes aware of their flush, feels embarrassed about it, inducing even more blushing. Be it the howl of a microphone picking up its own amplified sound, the float-valve which cuts off water supply as the toilet cistern fills, the house price bubble or the release valve inside the steam engines which powered the industrial revolution, our daily lives politically, socially, biologically and physically are governed and controlled by feedback systems, visible and invisible. Feedback then, informs the structure supporting the innocuous backdrop to our functioning model of reality. Thus focussing on feedback and unpicking its various loops and mechanisms allows us to glimpse the tip of the barely-visible iceberg of ideology. The central role of feedback in education and art practice is broadly acknowledged and closely related to notions of reflective practice and iterative experience. 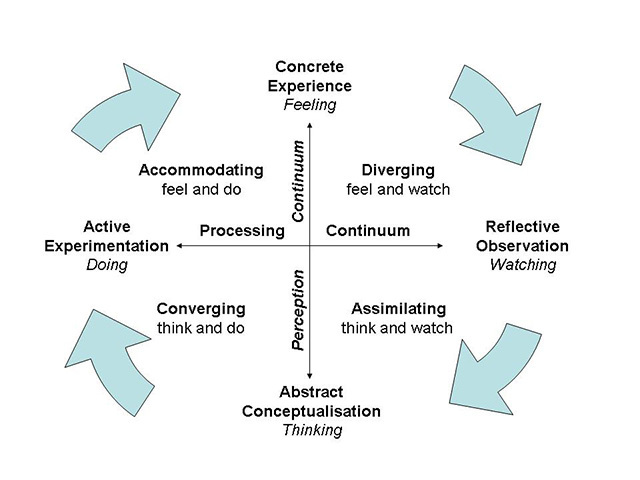 Specifically, through Kolb’s learning cycle(1), a repetitive sequence of practice-observation-reflection-experimentation- analysis-change-reflection and so on, learners explore the challenges they encounter, leading to the development of knowledge through reflection. Thus reflective learning forms the backbone of practice-based research, including contemporary art practice, both within and beyond the educational institution. At Peer Sessions, the conversations and discussions taking place facilitate practitioners in their own productive version of Kolb’s cycle; the Peer model of silent feedback is framed by educational ideology, structured as it is, by its own interrelated feedback systems. But just as the burgeoning free universities movement seeks to reinvigorate the emancipatory aspect of research, so Peer Sessions attempts to provide a free space for concentration, feedback and development to its participants, free from the confines of the “cloud of dispassionate neutrality”(2) of the university institution. Instead, people-powered initiatives like free universities or peer support networks rely on their members to contribute to the production of knowledge. Peer Sessions is not merely a sum of its parts, it is non-equivocally and proudly a sum of its parts.